It's our first week back after a two week break and the pp/1, yr 1, yr 2 and yr3 classes are busy preparing to do some sewing projects. The yr threes are finally sewing their pencil cases which will be used to store their art supplies for the rest of their time at primary school. The other classes are making a small decorative item. 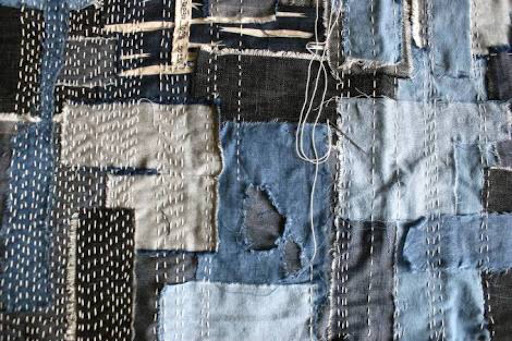 We learnt the term 'textiles' that refers to the art of making things from threads and strands, yarn and fabric. 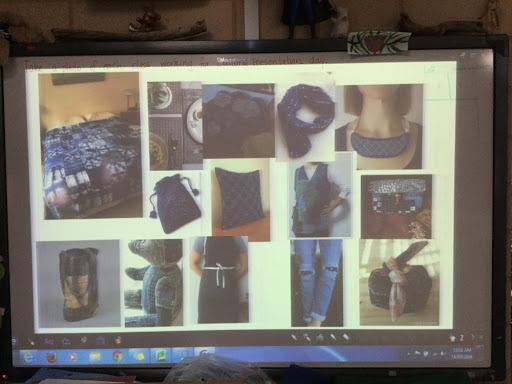 The kids brainstormed how textiles were used in their homes. There are lots of textiles in our homes and many children have craftspeople in their families who knit, crochet or sew. 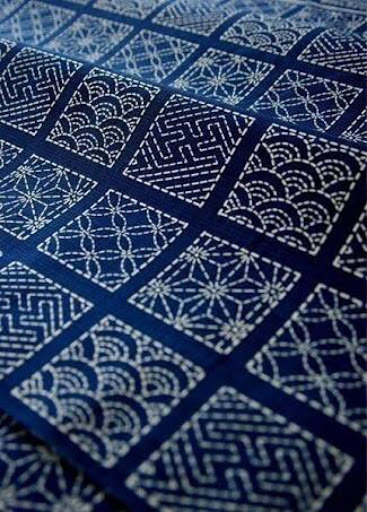 These crafts fall under the textiles art form. Today's lesson was spent getting ready to sew, choosing and labelling our fabric with name and room number, creating a focal point shape (yr 3cut theirs from felt and pinned it on, the others selected a sticker shape and positioned it on the fabric) THEN came the most important part of the lesson. 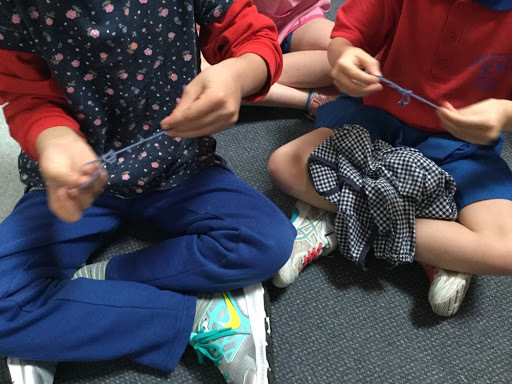 We learnt ways to thread a needle and tie knots. I did not even attempt to introduce the actual sewing as I wanted to focus on these important fiddley skills. Now I know that every child can thread a needle and tie a knot. Although I have an alternate plan for the PP and yr 1 kids if required, we'll put a bit of tape at the end of the yarn. But after breaking down the mechanics of knot making using thick string to demonstrate and teaching them to make a 'chicken beak with their fingers ( softly putting the pad of their pointer finger on to the pad of their thumb rather than pinching the tread with their nails this gives them the ability to move their fingers a bit to grab the needle or extra bits of thread allowing loops to be held in place while making the knot) I don't think I will need the alternative, as they all managed to tie a knot so far - there's another couple of classes to go but so far so good. We talked about the importance of having a go and practicing a skill. They all laughed when I suggested that if they couldn't kick a goal in footy that the coach could run on and do it for them. They said you had to try over and over and keep kicking the ball yourself no one could do it for you. Art skills are the same, they take time to develop and require practice and effort to achieve and boy weren't they proud of themselves when they got it! 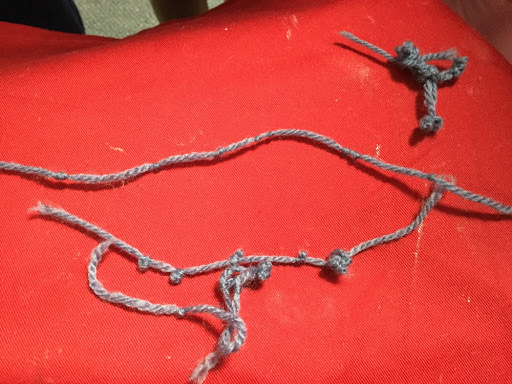 So you might find that your kiddo brings home an extra length of yarn this week to practice tying knots. They know that the knotted string is not actually important it is the doing and the learning that is important - but some of them couldn't bring themselves to put it in the bin on the way out the door.